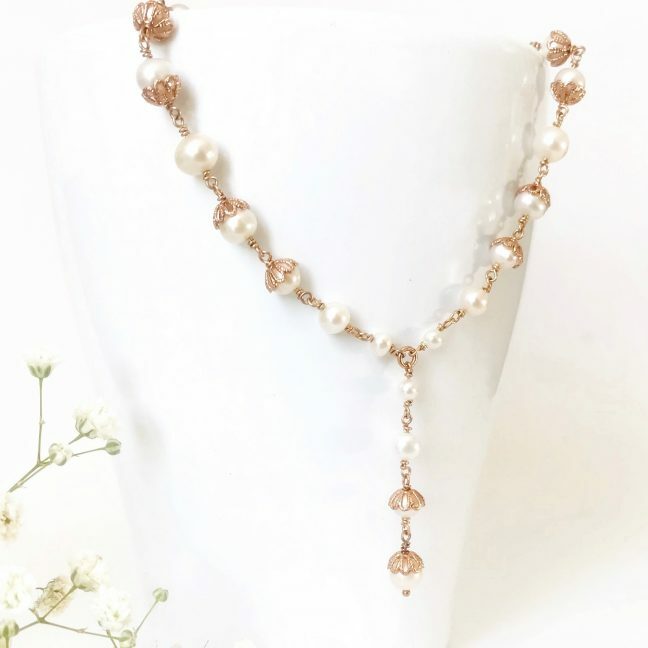 This rose gold bridal necklace is the ultimate in luxury bridal wear. All lovinly handmade using a rosary link chain to conect the pearls together. 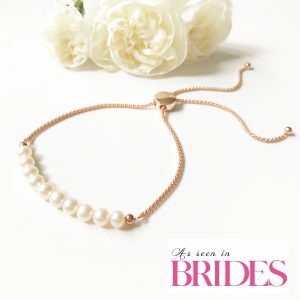 The bridal necklace is elegant and comfortable to wear. 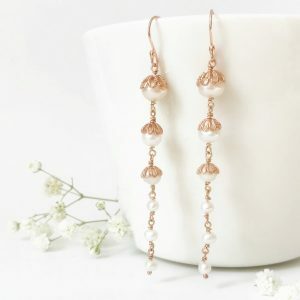 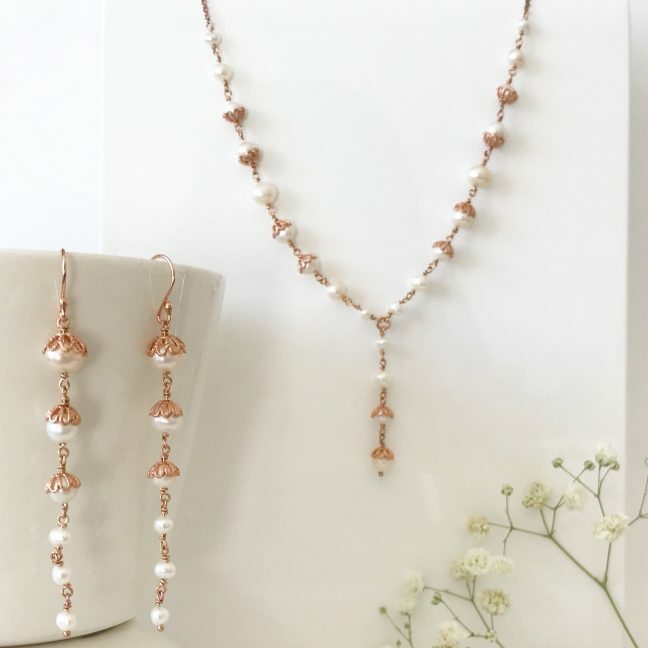 The rose gold filigree cups surrounding the pearls add a touch of sparkle. 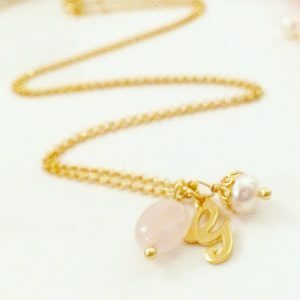 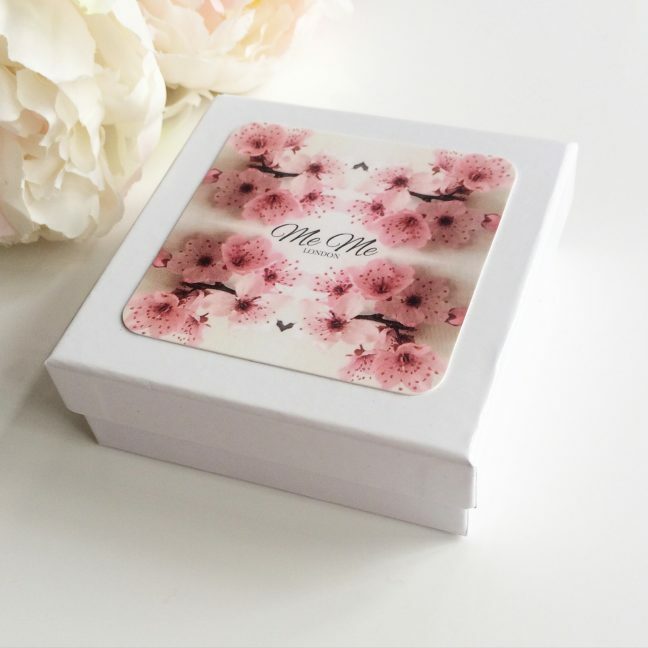 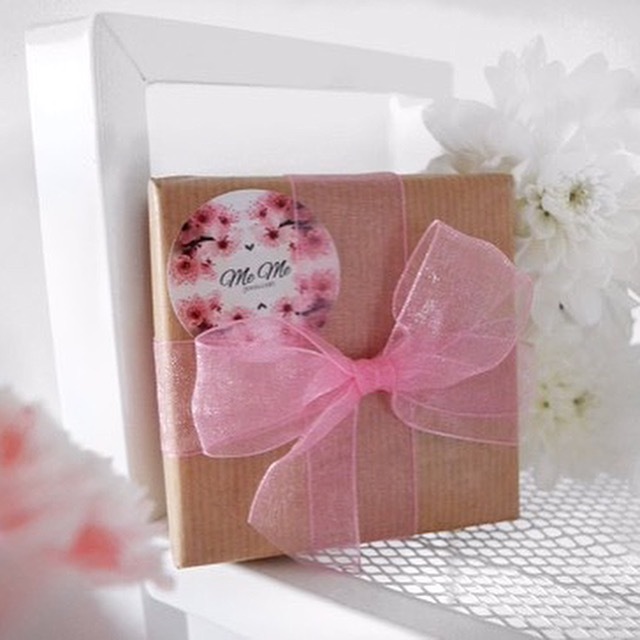 Alternatively, why not give the necklace as a bridesmaid gift that can be worn as a bridesmaid necklace and loved time and time again after your big day. 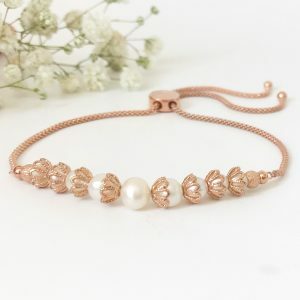 Rose gold has been the metal of choice for many years now, therefore making the bracelet extremely on trend. 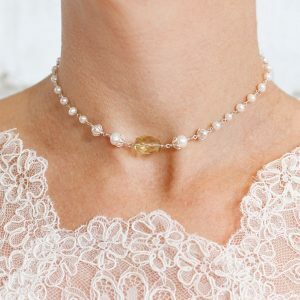 The pearl necklace is the perfect addition to any jewellery or pearl lovers collection.